Introducing Super Sprouter® 10 in x 20 in tray that is built to the industry standard size, but now with triple the thickness. Great for propagating your seedlings with rock wool, seedling mix, or starter plugs. 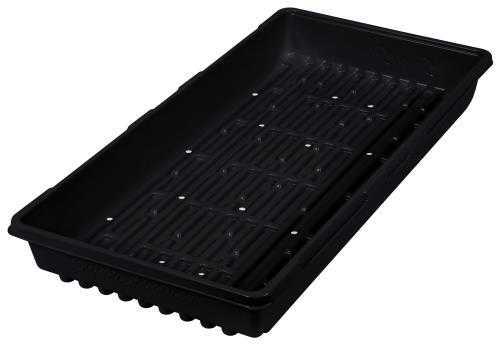 Super Sprouter® trays come without holes so that the tray can catch excess water to keep starts or plants moist. They are also available with holes, so that the tray can be used in a flood and drain method. Raised channels are incorporated in the base of the tray to provide air to circulate under your pot or insert tray.